Fleur : intense lilac pink, large, double. 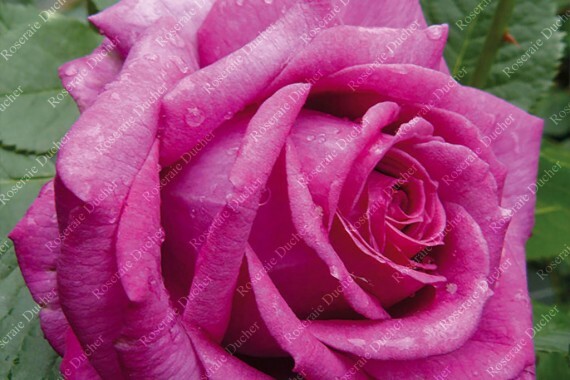 'La Clé de la Rose ®' is a shrub rose which flowers have a strong fragrance of heritage roses. It can be planted in soil or grown in container. La Cle de la Rose is the name of a rose garden dedicated to heritage roses and located in Cluny (France). This rose garden is at the entrance of the city, near the ruins of the famous abbey which has influenced the entire Europe.